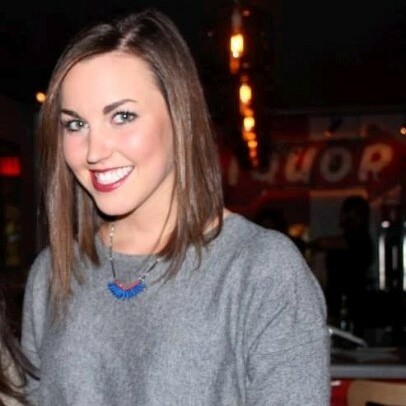 Chelsea from Keller Williams Neighbourhood Realty came to us looking for help. She needed her company logo recreated in 3D for her front desk reception area and it had to be perfect! 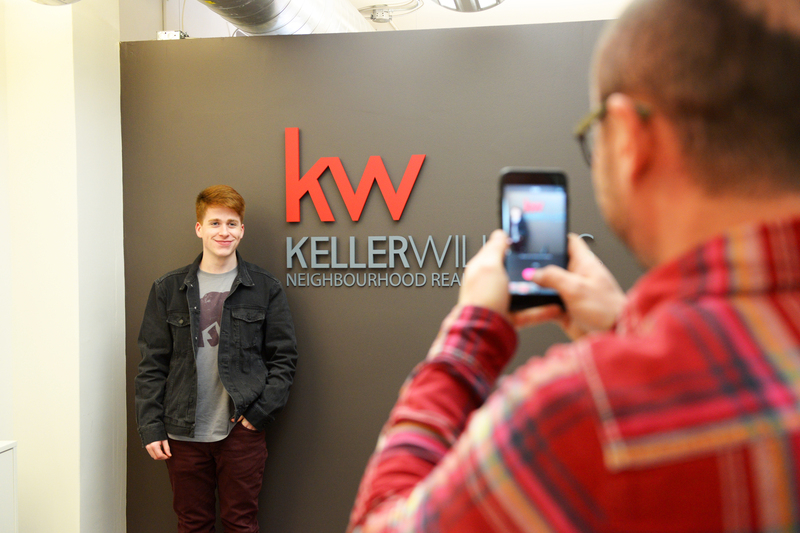 The KW red needed to be exact and the font and logo proportions both had to be carefully matched with corporate branding guidelines. Good thing is, we love getting custom colors right! Here are a few shots of the finished product. The custom painted acrylic letters turned out great! The logo colors are right on the ball, the size is just right and everyone loves how well the new sign's colors complement the office wall! 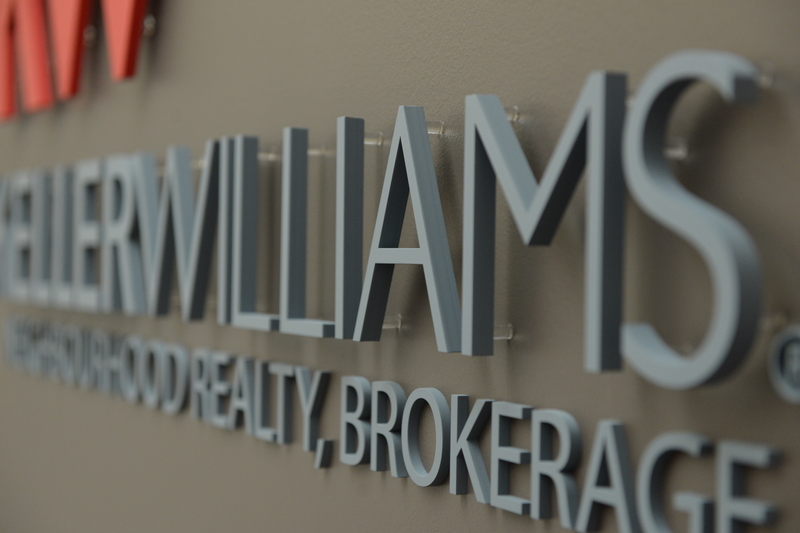 Video showing details of painted 3D acrylic letters for Keller Williams Neighbourhood Realty’s front desk reception area. 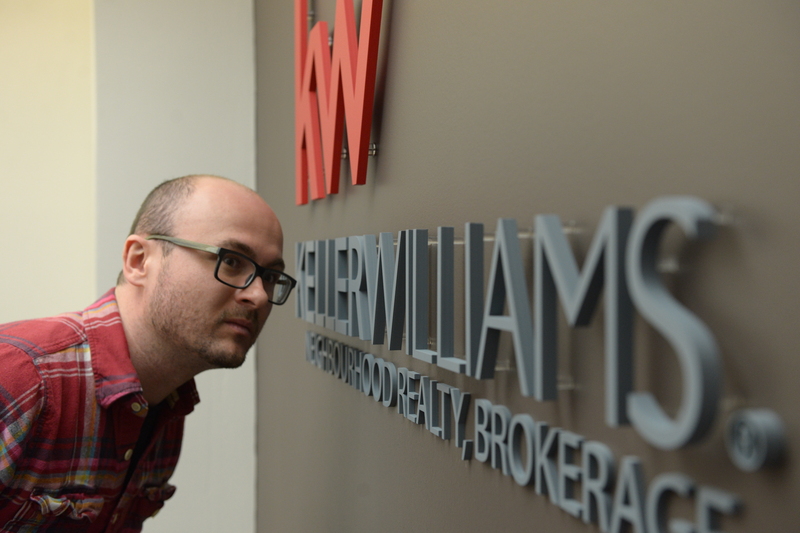 Ben stands next to the feature wall showcasing Keller William’s new raised logo. The sign really looks great guys, Thanks!